As the days get warmer and longer there is plenty of great skiing and riding in the mountains of Vermont. There is still plenty of time to get your turns in. Heres is the list of closing dates that have been announced. 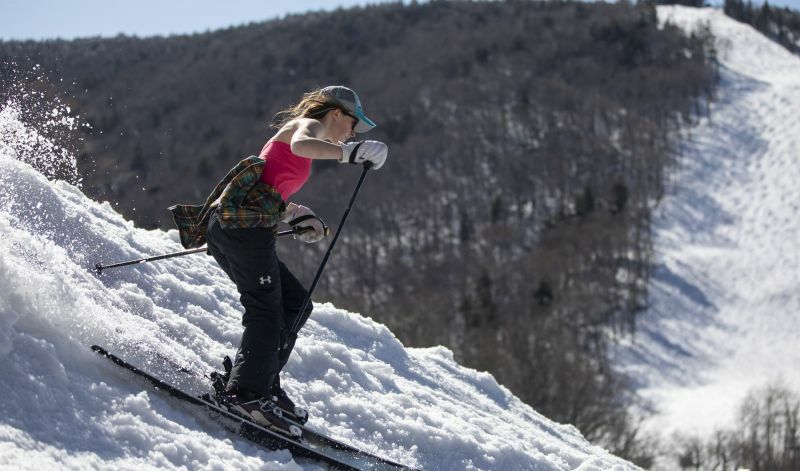 Killington has not yet set a closing date. The Beast crew is hopefull for skiing and riding into June. Mad River Glen will open Wednesday, April 17 for its 135th day of the season, tying the record for longest season in its 70 year history. Mad River Glen will then decide on opening for the weekend of April 20-21. Mount Snow is closed for the season. Okemo is closed for the season. Burke is closed for the season. Smugglers' Notch is closed for the season. Mt. Ellen will be open until March 31. Lift operations switch to spring hours on Monday, April 1st at Lincoln Peak. Hours of operation will be Monday - Friday 10 AM – 5PM & Saturday - Sunday 9AM – 5PM. Rikert is closed for the season. Trapps is closed for the season. Bromley is closed for the season. Suicide Six is closed for the season. Lyndon is closed for the season. Magic is closed for the season. Middlebury Snow Bowl is closed for the season. Mountain Top is closed for the season. Northeast Slopes is closed for the season. Pico is closed for the season.